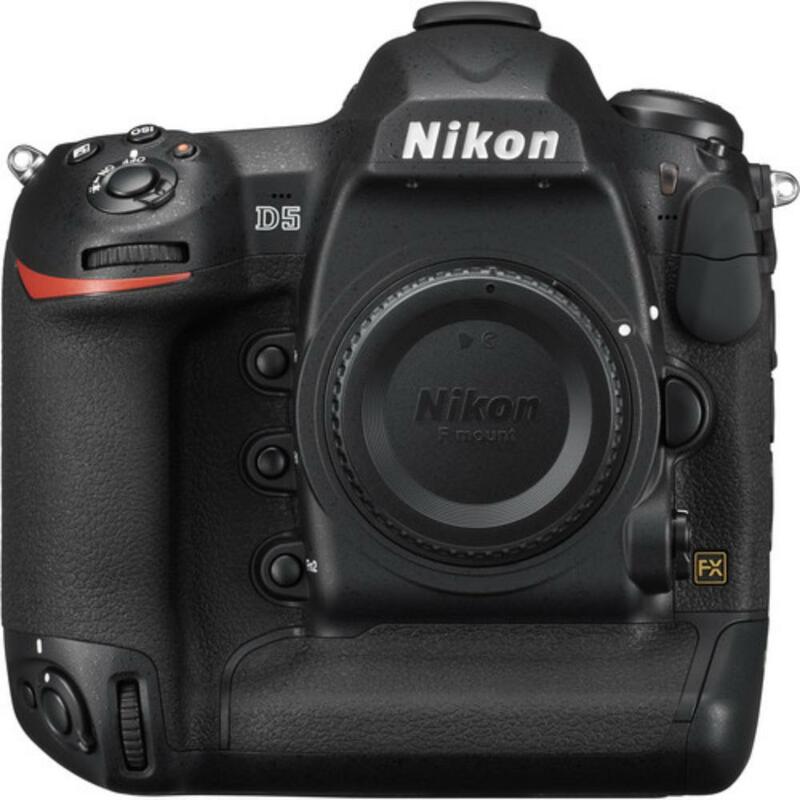 The Nikon D5 DSLR Camera w/ Dual CF Slots is the updated flagship to the Nikon D4 and has improvements even over the Nikon D4s, most notably 4K video and an ultra-extended ISO of up to 3,280,000 – all while maintaining a super quick shooting speed of up to 14 frames per second. The full frame sensor has an updated processor with a configurable AF system of 153 points that are compatible with lenses using an effective f/5.6 or faster (use the 15 point setting for shooting at f/8). Shoot 3840 x 2160 4K at 30/25/24p at an angle of view that approximates a 1.5x crop sensor or, optionally, full HD 1080p in FX mode. There is also a 1920 x 1080 crop movie format that produces a roughly 3x effective lens focal increase. For these crop formats, DX lenses may be used. You can shoot simultaneous external and internal footage and, for audio, you have your choice of an external mic jack with 30 different volume levels or internal stereo with 20-step increment adjustments. A dedicated power aperture button (Pv) allows you to achieve smooth, continuous exposure transitions when moving from light to dark areas. Also, a video-optimized Flat Picture Control mode can be used during recording to flatten the overall contrast curve for more control during post-production and color grading. The touchscreen LCD has a smartphone-like interface that makes selecting AF points easy. You can also swipe through shots when reviewing, pinch to zoom, edit file names, and more. 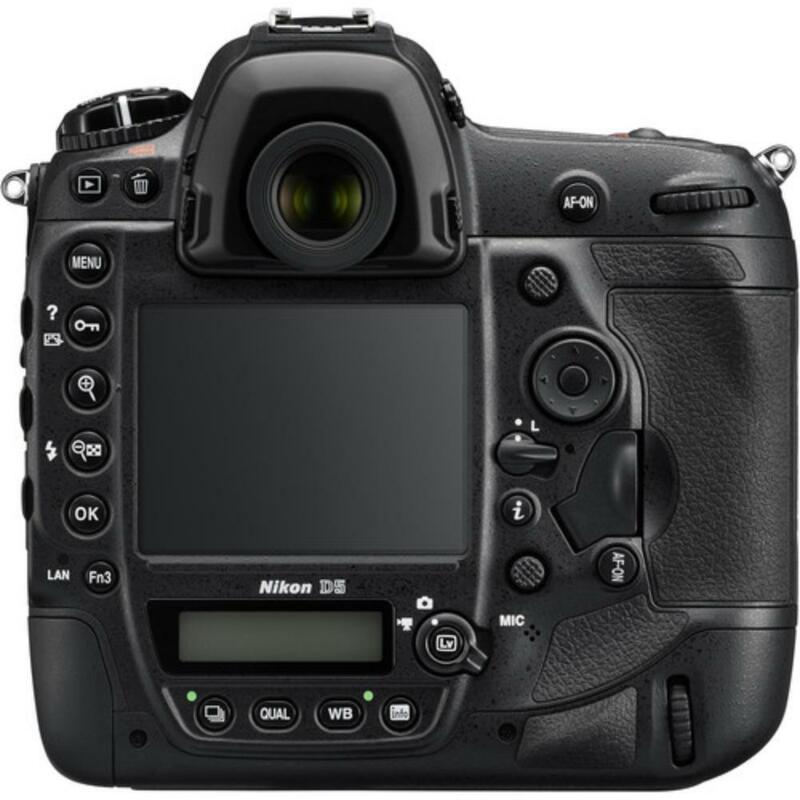 As with prior Nikon bodies, the D5 still maintains complete compatibility with the Advanced Wireless Lighting system. You can add an optional WR-A10 wireless remote adapter (not included) to fire up to 6 groups of off-camera, radio-compatible Speedlights, such as the SB-5000 or SB-910. 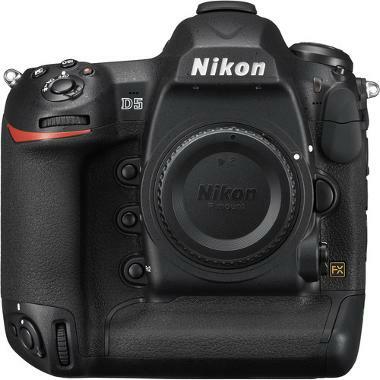 The D5 sports an ultra-fast communication system that is, overall, about 1.5x faster than the Nikon D4s. You can transfer files over LAN at approximately 400 MB/s and a refigured battery gives you approximately 3780 shots per charge. 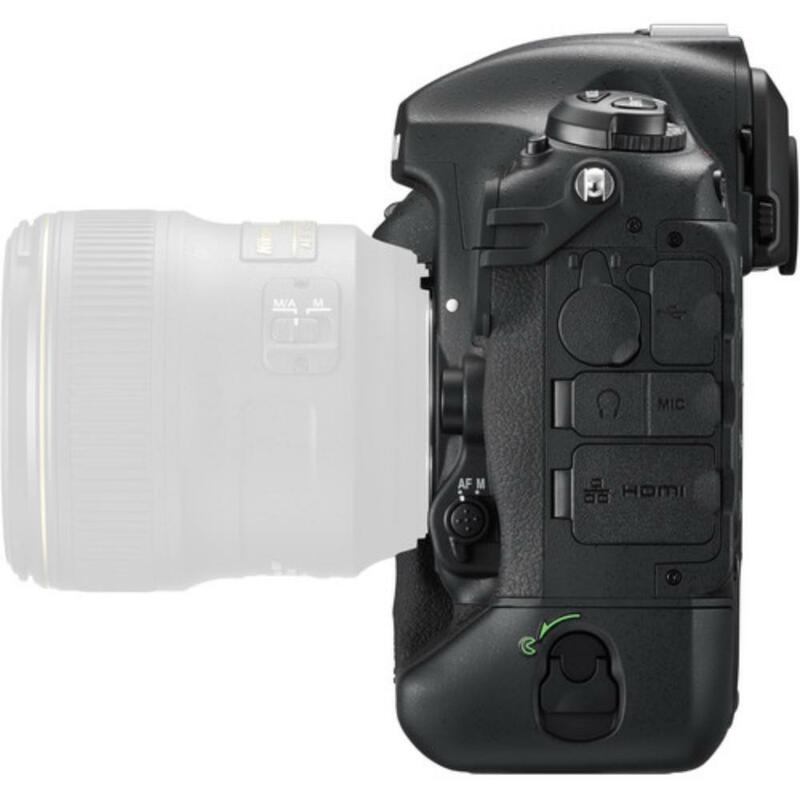 Overall, the D5 is a workhorse DSLR suitable for serious sports photographers, wedding shooters, journalism, videography of all kinds, landscape, wildlife, and corporate events. 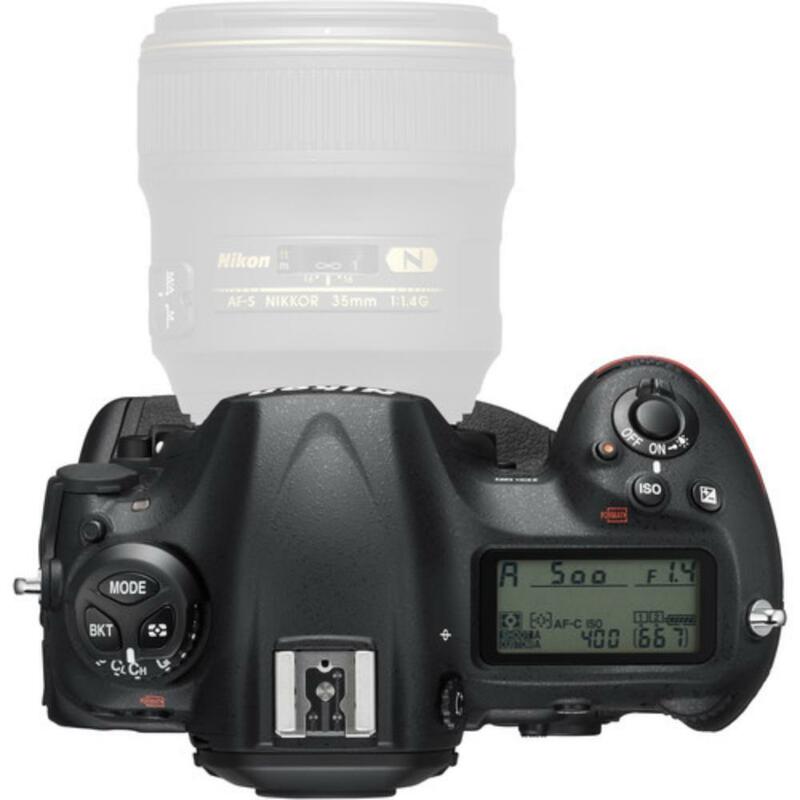 • This Nikon D5 takes (2) CF memory cards, which are not included with this rental and are rentable separately. • This camera is compatible with Type I CF cards, compliant with UDMA. • Full frame F mount lenses are compatible with this camera. For videography, there is a 4K UHD movie image format that is roughly the size of DX format and is reserved for 4K and full HD recording. There is also a 1920 x 1080 crop movie format that produces a roughly 3x effective lens focal increase. For these formats, crop sensor lenses may be used. You still have the option of shooting video in full frame mode in full HD 1080p. • As of this writing, in-camera 4K is limited to 3-5 min clip length. A forthcoming firmware update is supposed to increase the length to 30 minutes. External 4K recording to a device, such as the ATOMOS Ninja 2 Video Recorder, allows unlimited clip lengths.